Majestic, this seems to be the most appropriate qualifier to describe Christ the Redeemer of Rio. 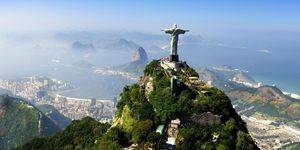 It is a world-famous statue, famous for dominating the city of Rio de Janeiro, of which it is the shared symbol, since the famous "sugar loaf" seems as well known as him. 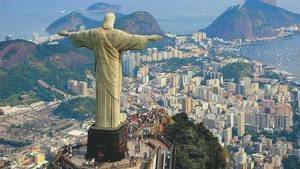 The statue of Christ is on the Corcovado, a name derived from the word "Bossu" in Portuguese. It is a steep mountain on the face turned towards the city, which gives it a certain power from the top of its 710m, and slopes gently to its opposite, which hosts a road and a railway to allow the public to " go up there. The statue itself is tall: 38m high, but it is far from being the largest in the world. It is distinguished by its style and symbolism. It is a religious, Catholic statue, depicting Christ standing with his arms crossed and looking at the city. His attitude calls for the redemption of the cariocas, his face at once severe and calm imposes respect. The style is graphic. Based on the contrast between the verticality of the toga and the horizontality of the arms, it has few details, one can say of it that it is cleared. when its symbolic, it is obvious. This purely Catholic statue remembers the duties of the Catholics of Rio and, beyond the city, of all Brazil. The first stone was laid on April 4, 1922 but it will take years before the site is actually launched, the fault the many modifications it required. 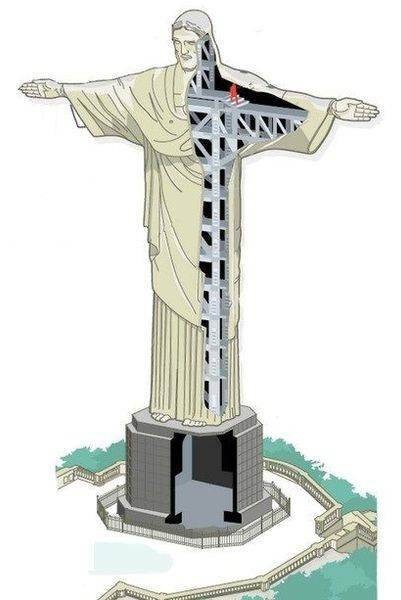 It was Heitor da Silva Costa who designed it following the request of the Brazilian State for the construction of a religious statue at the top of Corcovado. Silva Costa originally planned a standing Christ holding a cross and a globe, but this statue was too complex to make. So he mandated Carlos Oswald to make the drawings, then, later, the French Paul Landowski to make the statue. Two other people also came into play: Gheorghe Leonida, the sculptor who made the head of Christ, and Albert Caquot, the engineer who conceived the internal structure of the statue. The shape chosen for this statue is not trivial. Christ stands upright, arms outstretched, as a sign of opening. This is one of the strong symbols of the work. Citing the Austrian writer Stefan Zweig who spoke during his first visit to Brazil shortly after the inauguration. The statue of the savior will be the first image to emerge from the darkness in which the city is plunged in the morning, and it will receive the salvation of the Sun which, from its radiant luminosity, will make around its head a form of halo for the " God-man, at bedtime. Suddenly, one hand shows the North, the other the South. 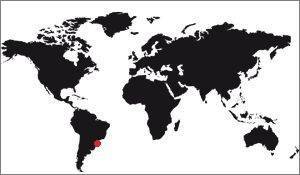 It is also an important landmark for anyone who wants to be in Rio, since it is visible from everywhere in the city! The base of the statue is hollow and contains a chapel. It is known as the Chapel of Our Lady of Aparecida, named of the main saint of Brazil, that is to say if it is a name known in this country. This chapel is used daily for a Mass, at 11 am, and it can be rented for your baptisms or weddings. The base is relatively high (8m) but narrow in relation to the wingspan of the statue. It is covered with black granite which gives it an austere air in relation to the art-deco style of the statue. If the statue is made of concrete, its coating posed a lot of problems and until very late in the progress of the project. 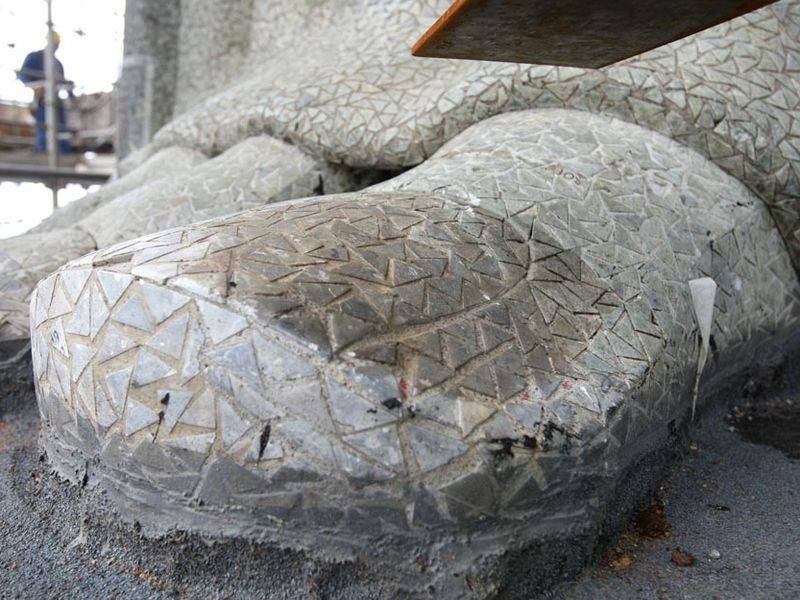 Indeed, Silva Costa, the designer of the statue, questioned the aesthetics of his statue, finding that the concrete would leave a sloppy finish. He sought for a long time what to put on as a covering and had the idea of ​​making a mosaic when he saw a fountain made in this style in a gallery in the Champs Elysées. He therefore decided to cover his Redeemer Christ with a large mosaic of uniform color. The sculptor Aleijadinho, who had been in Brazil earlier, had already used this technique, using pale colored stones from quarries near the town of Ouro Preto. 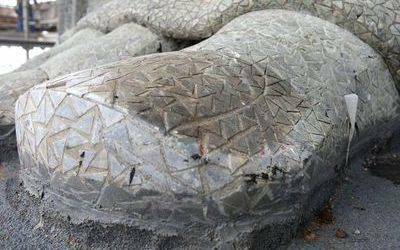 It was soapstone, a soft stone subject to little variations in temperature. The extracted steatite blocks were cut into small triangles of 3cm x 3cm x 4cm, with a thickness of 5mm. They were glued on linen cloth squares by women volunteers in one of the parishes at the foot of the Corcovado. The workers often added a personal touch to their work by writing messages or the names of their friends on the backs of the tiles ... what one can not see these days, of course! But a problem arose in the following years: In only 8 years of operation the quarry was exhausted, and for regular renovations it was necessary to find another source of supply, which was done. But the color of the stone was not exactly the same and over the years the provenance had to vary, which gives nowadays slightly different colors to the parts of Christ the Redeemer who have been the object of renovation. It forms a kind of mosaic of color on this mosaic! However this problem has been seriously taken into account during the last renovations, as of 2010, when the color of the stones was selected drastically compared to the previous renovations. The interior of Christ the Redeemer is dark and narrow. Unlike the Statue of Liberty for example, which has a tiny narrow staircase in a very wide body, Christ of Rio is very narrow. Its internal structure is made of concrete, it is thus many reinforced concrete beams arranged horizontally and vertically which form a succession of floor, 12 in total. 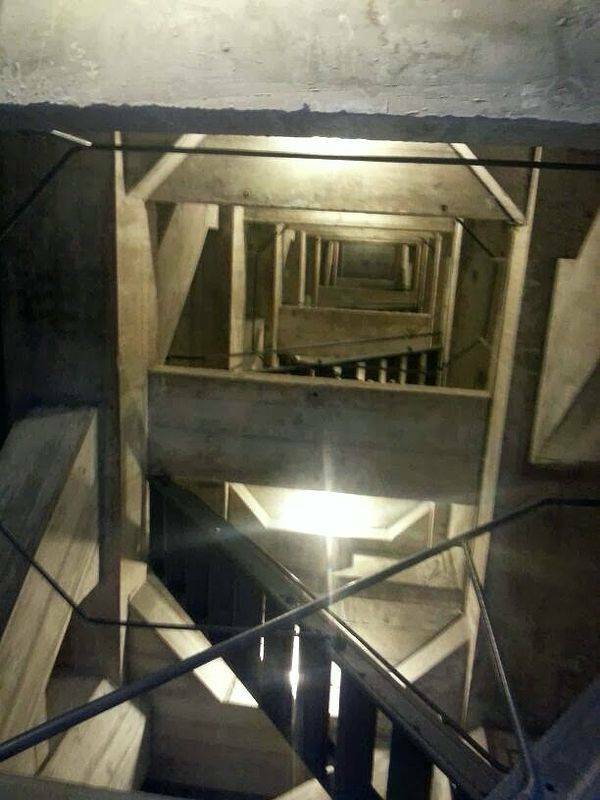 There is even one floor per floor. Each of them is joined to the others by a staircase, necessarily narrow. The 10th floor is special because it is the one that serves the 2 horizontal galleries of the arms, in which it is possible to move. The last two floors are those of the head, so very small. There is no natural light inside, only a few bare bulbs that ensure low light. As the layer of concrete is thick, the interior of the Rio statue is naturally fresh, which contrasts with the outside where the temperature is often high. By climbing the floors one notices that each floor is materialized by a number painted on the wall. The general feeling, according to those who may have penetrated the statue, is that one has the impression of entering a dusty warehouse. There is nothing inside to suggest that one is within the redeeming Christ. To make a comparison again with the statue of Liberty, the latter is perfectly recognizable from the inside because its walls are very thin (they are in plates to follow) and therefore the general shape of the statue is visible from the inside . But for Christ the Redeemer of Rio, the internal structure is massive, so there is only one moment when one can know that one is in it: It is when one arrives at the level of the breast, where l a curved heart shape is seen. 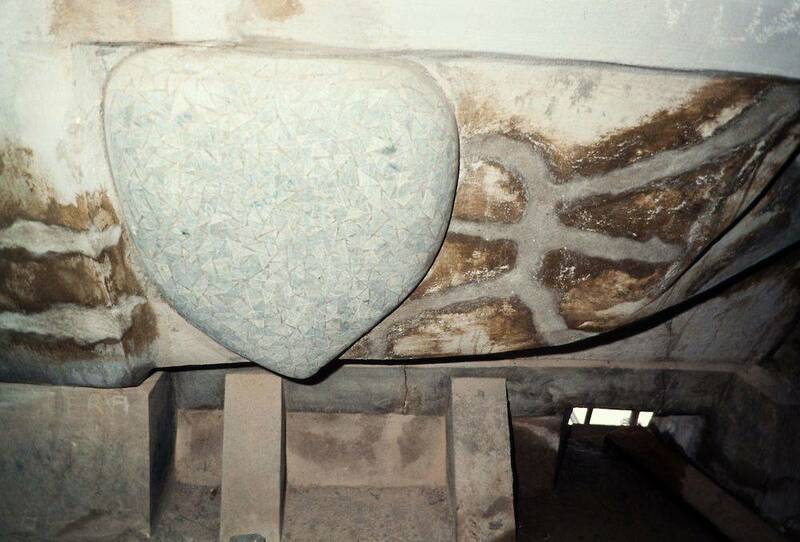 It is covered with the same stone mosaic as the outside of the statue - where the outline of the heart can also be seen. From the top of the last series of stairs, a vertical steel ladder leads to a tunnel in the statue's arm. A dark, narrow passage then extends towards the fingers. At the level of the shoulder the statue has a hatch allowing to go out on the arm. It is found that the arms are equipped with sealed metal rods enabling the monitors to maintain the monument in order to work safely. Equipped with a harness they are sometimes seen as rappelling.